Buyer’s price range – What buyer can afford. Sale price – Price the house actually sells for. Market Value/ Appraised Value – Established by a certified appraiser. Balance what you can afford and best guess of what seller will accept. Purchase offer is a legally binding contract. Usually done through real estate agents who have standardized forms. Buyer and seller do not negotiate directly. 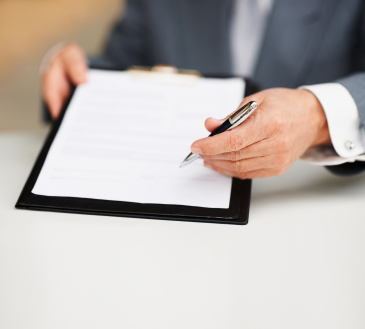 A Sellers Agent cannot help you negotiate, but can fill out contract. Sellers Agent must get the best deal possible for the seller. Transaction Agent cannot help you negotiate, but can fill out contract. Transaction Agent acts as a mediator. Buyers Agent works to get the best deal for you, the buyer and can help you negotiate. Kick-out clause – (Sale contingency) applies if seller gets another offer on the house, then first buyer has a certain number of days to remove sale contingency and go forward with the purchase. Sign of good faith that the buyer is serious. Is a deposit that will be applied to the closing costs. Is returned to the buyer if the contingencies cannot be met and the deal dies. Seller may sign and accept your offer. Buyer has limited time to accept the counteroffer or counterofferagain to the seller. Objective market value is the Market or Appraised Value determined by the appraiser. Appraisal will not be done until after you get approved for your loan. The agent gets paid only when a purchase is made. As a result, this person must spend time with real buyers . Be considerate of the agent’s time . Make sure you tell your agent any “extra steps” that may be involved. There is room for a lot of confusion. Tell any other agent you meet who your agent is . If you see a sign, have your agent call about the property . Stick with your agent unless something happens that is improper or offensive. Condition of the Property- Does the home need any repairs before you move in? Home Improvements- Cost of improvements you will need to make to the property. Market Conditions- Is it a Sellers Market or a Buyers Market? Seller Motivation-Does the Seller need a quick sale? Is the Seller willing to help pay part of your closing costs? Other motivating factors of the seller. FHA and VA loans require the home to meet certain requirements. If the house does not meet program specifications, the Seller must agree to the improvements. The loans take longer to close than conventional loans. Costs for repairs, pest treatments or Buyers Closing Costs. Closing Costs for the Buyer may include the cost of points to buy down the interest rate, mortgage broker fees, various inspections, or a home warranty plan. Asking the Seller to provide financing to the Buyer. (Contract for Deed) This type of financing is not very common.